All pictures from Cassell's Illustrated History of India available here: https://archive.org/details/cassellsillustra01gran. These pictures begin with Robert Clive storming the Indian fort of Arcot to relieve the siege of Conjeveram. 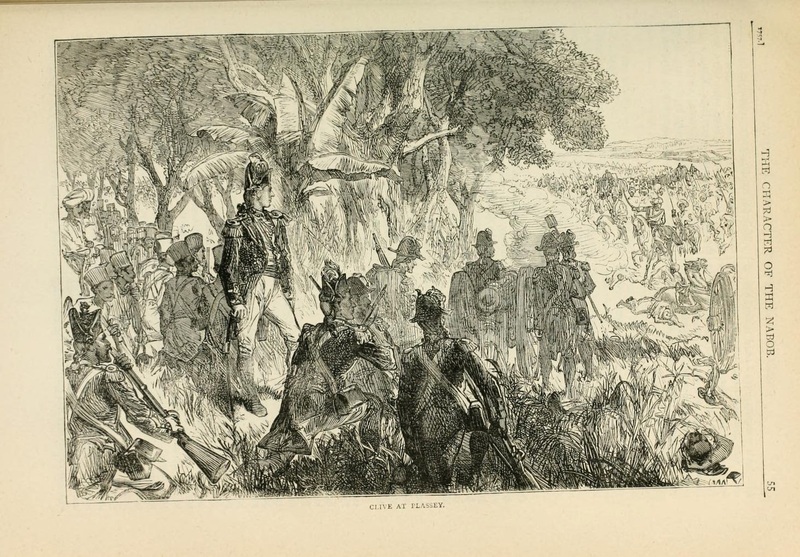 Clive then defended Arcot against the Nabob's army. 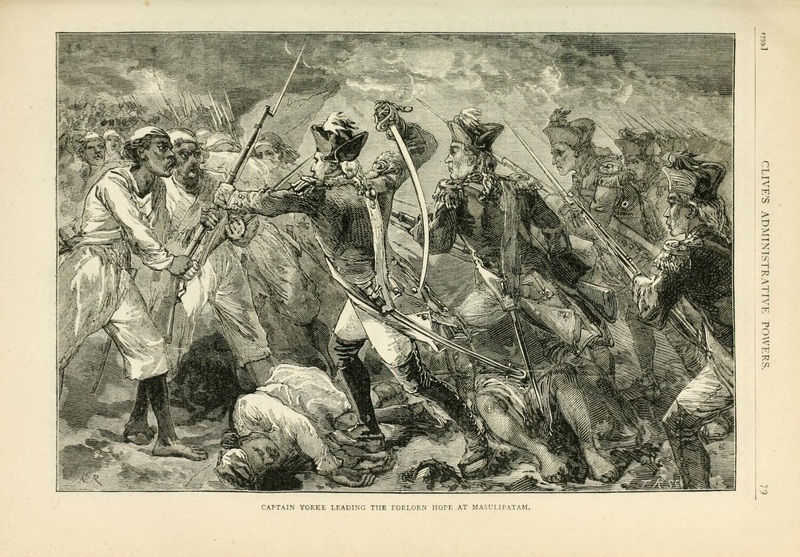 Arcot proved Clive as a soldier, but Plassey was the greatest victory of Robert Clive. With 3,000 soldiers (and some negotiations with an aspirant to the throne), he defeated the Nabob of Bengal's army of 50,000. But the French East India Company sent a fleet and army out to India. 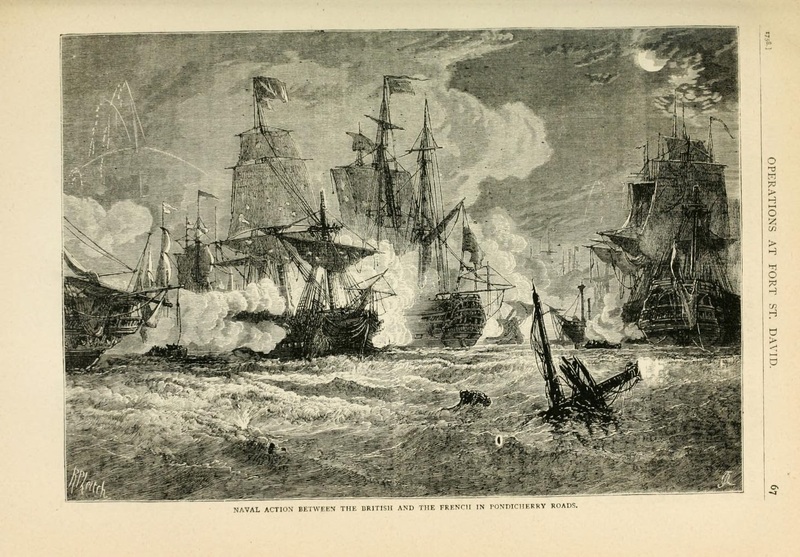 This picture illustrates the naval Battle of Pondicherry. This picture illustrates the British storming the fortress of Masulipatam, though the British stormed many fortified positions similar to this one. 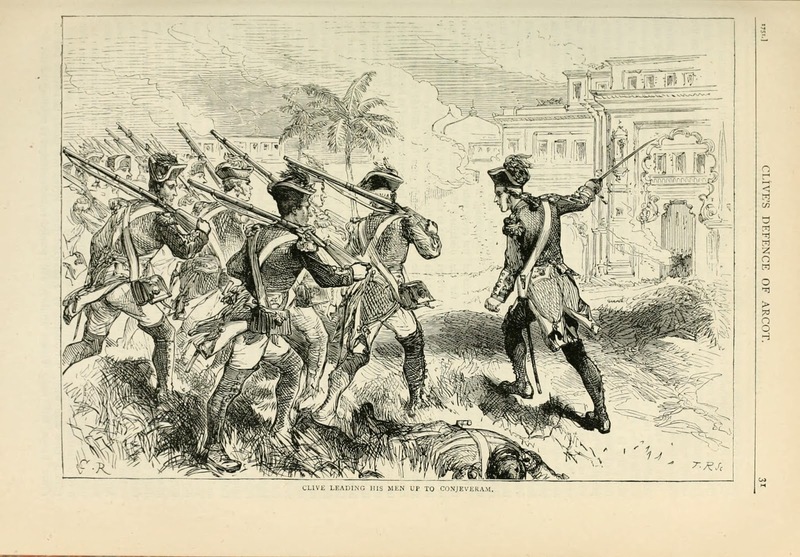 Finally, the troops of the French East India Company were trapped and besieged in Pondicherry. 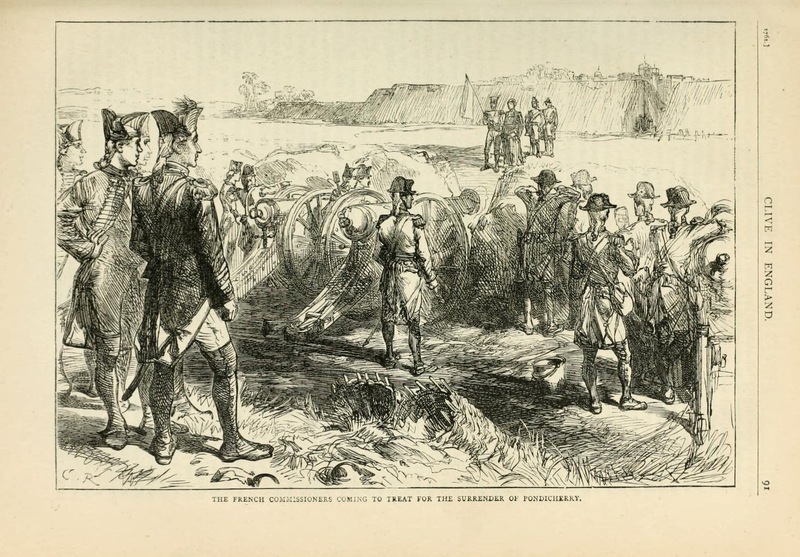 Here four French commissioners come to the British to ask to surrender. The Third Carnatic War (or the Seven Years' War in India) broke French power and raised the East India Company to governing much of India.